We know that a relocation in Berlin is always more than just a transport from one place to another. Because of this reason we have best and experienced Furniture pakers and Relocation Helpers, who knows exactly, how things are done. 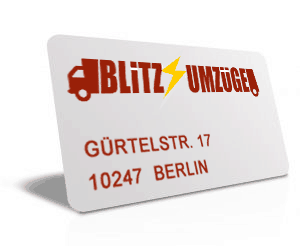 Our aim is to be one of the best Moving and packing comapny in Berlin. How that can be achieved? Through Clients Consultation and good offers. Consultation begins naturally for your relocation in Berlin. We hear you and find a optimum way to help with the assignments. Yes difficult Furniture exist! How is the condition? Which factors have to be taken care of in case of stairs? How can the valuable be handled? Or stop signs are to be placed or not? So many Questions, no problem we can all answer and discuss in detail. No tension: Moving and relocating Services in Berlin is availbale all day and accordingly we know, how assignments have to be carried out and handle die important questions. We love to take into account your special request in our Consultations. A request for short time assignment completion is adhere to by booking an Express Service and real Last-Minute-Service is also possible. We will surprise you with our fast and flexible service.